JamCam, an app that was developed to allow you to keep playing audio even while recording video, has matured into version 5.0. The new version is a complete redesign of the app, and is now focused more on making selfie videos than recording the world around you. We picked JamCam as one of “Today’s Best Apps” when the application first launched in 2013, and designers have made it better than ever with this new version. When co-founders Sam Scofy and Matt Loszak first began JamCam, they did not envision it being used for recording lip sync sessions. 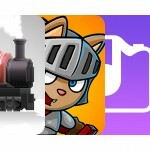 Quickly, though, it became obvious that the app was great for just that purpose. “When people feel like stars, they really like it,” Scofy told AppAdvice in an exclusive interview. “Now, we really want artists to think of JamCam every time they have a single,” he said. After recording a video with the newly redesigned interface, users can upload their videos to the JamCam servers. From there, they can share their videos on Instagram, Twitter, Facebook, and more. 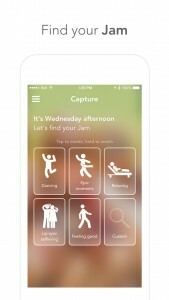 In previous versions of JamCam, the app opened with the rear-facing camera active. In the new version, the app opens by default to the front-facing camera instead, which is perfect for recording selfies. The new interface is clean and flat, with aesthetics that make it look quite at home in iOS 8. It features beautifully designed buttons and a clean appearance. When you record your video, the controls are easy to use and you can adjust what part of the song you are going to lip sync to. Recorded videos are limited to 15 seconds, allowing you just enough time to show off what you got. Chofy and Loszak just might be on to something, and hit artists Maroon 5 seem to agree. The band’s management team approached JamCam about having users of the video recording app shoot segments of themselves lip syncing to Maroon 5’s hit single “Sugar,” and the idea really took off. What ended up coming out of that project was a huge collection of JamCam users acting like stars. The two men behind JamCam definitely have the chops to make this the app of choice for artists to get fans to make their videos for them. Chofy has several years of experience with social media management for artists like Ice Cube, as well as social media consulting experience with EventLive. Loszak is an engineer and a self-taught programmer and designer with amazing skills and abilities. 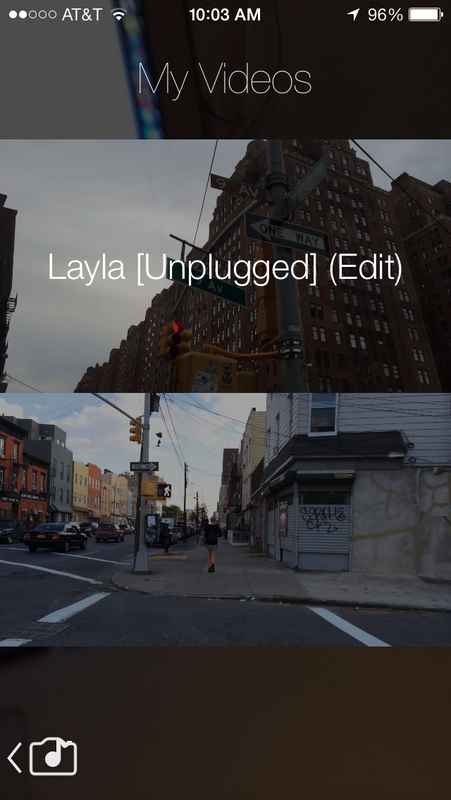 JamCam allows you to choose from one of their tracks for your video, based on your mood. If you prefer, you can also choose your own music from your iTunes library. The app is free, with no ads or in app purchases, and is available on the App Store.